The IOC’s decision last week to allow the organizers of the 2020 Tokyo Olympics to move the basketball competition out to Saitama Super Arena puts an end to any hope the sport ever had of becoming high profile in Japan. 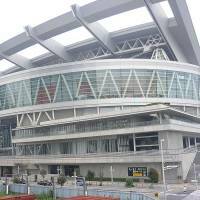 The original plans had called for the construction of a new basketball arena in the Ariake area that will be the centerpiece of the games, but that proposal was dropped. The term “cost-cutting” has been used liberally to justify the move. I think something like “profit-increasing” would be more accurate. It continues to amaze me that there is not a legitimate big-time arena in the capital. 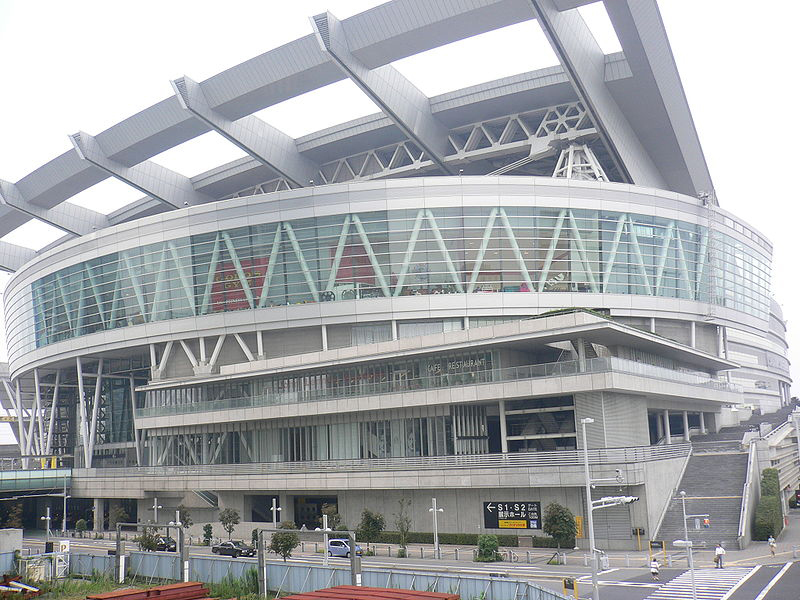 Saitama Super Arena is very nice, as is Yokohama Arena, but this is supposed to be the Tokyo Olympics. This would have been the perfect opportunity for Tokyo to get a state-of-the-art arena of its own, something that seated around 20,000, but the easy way out has been taken again. If the city can’t get a new basketball venue for the Olympics, it likely never will. Let’s face it, the sport here is in complete disarray. Something like a new arena might have helped reverse this trend and infused some more interest in the game, but any chance of that has now disappeared. Basketball is the second- most popular sport in the world. It has the third-highest number of registered players in Japan behind baseball and soccer. Yet while the sport is booming in China, which features a robust pro league, it is languishing here. We currently have the Japan 2024 Task Force wrestling with the NBL, bj-league and NBDL in an effort to come up with a realistic plan for a single league that will lift the worldwide ban imposed by FIBA last year. One need look no further than where the NBL (Japan’s self-proclaimed top league) plays its annual five-game championship series — the smaller Yoyogi Gym which hosted the hoop tournament during the 1964 Tokyo Games — to see the small-minded approach that has plagued the sport here for so long. The capacity of Yoyogi No. 2 Gym? There are high school gyms in other countries that hold more spectators than that. Another incredible achievement for Kei Nishikori with his rise to No. 4 in the ATP World Tour rankings this week. It is a new personal best for the superstar. Though he lost to Spain’s David Ferrer in the final of the Mexico Open on Saturday, it was a successful week for Nishikori. The only thing that prevented him from rising to No. 3 was Rafael Nadal winning his first tournament in nine months with a victory in the Argentina Open. Nishikori struggled with nearly twice as many unforced errors (40 to 21) as Ferrer in the final, but still nearly forced a deciding third set, where he holds the highest winning percentage (.789) in the Open era. The Shimane Prefecture native had beaten Ferrer five times in a row before Saturday’s loss. The feeling here is it was just a case of the odds evening out. Up next for Nishikori on the schedule is a Davis Cup tie against Milos Raonic and Canada this weekend in Vancouver. Nishikori will return to tournament play at the BNP Paribas Open in Indian Wells, California, in two weeks. The Japan Football Association’s desperate search for a new manager appears to have settled on veteran coach Vahid Halilhodzic. The 62-year-old Bosnian most recently led Algeria to the second round of the 2014 World Cup. Halilhodzic has had a long career coaching in several countries, but one wonders if this will come to be another decision the JFA rues. The timing of Javier Aguirre’s sudden dismissal last month has made the conditions for finding a new manager difficult, with almost all of the pro leagues in the world already in season. The JFA has nobody to blame for this but itself. It failed in its due diligence in hiring Aguirre, which has now led to problems with the quest to replace him. The JFA is one of the richest football federations in the world, but persists in conducting business in an amateur fashion. While many pro and college teams in the United States now seek new coaches through executive search firms, the JFA insists on going it alone. It just sent its technical director (Masahiro Shimoda) off to Europe and hoped for the best. The same strategy didn’t work out too well the last go-round.